This workshop makes meditation accessible to everyone! It draws from the wisdom of various traditions offering techniques to reduce and release stress, paving the way for improved physical, mental, emotional and spiritual health. This class takes the mystery out of meditation combining modern science with ancient wisdom. You will learn about the essentials of any successful meditation, what experiences you might have and why, and the many benefits that will unfold in your life with regular practice. You will learn how to begin and sustain your own enriching home practice and how to fit it into a busy life! 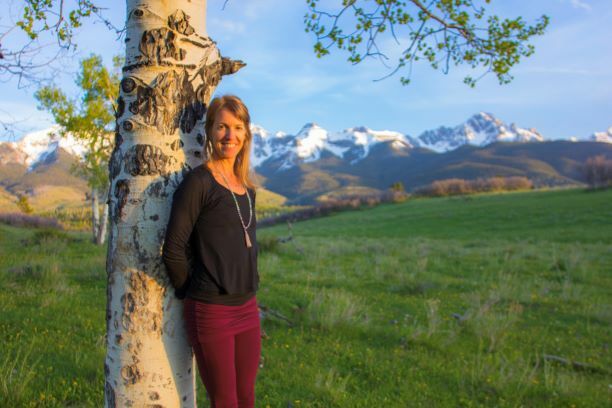 Amy is a Colorado native, and moved to the San Juan Mountains in 1997 to ski. She has worked mainly as a nutrition counselor, and most specifically with parents and children. She has been practicing yoga for 17 years and is a Certified Meditation and Mindfulness Teacher through the McLean Meditation Institute. Her passion for meditation began after having 3 daughters, including twins, and realizing that good nutrition was only a part of health and wellness. Her life brought lessons that both demanded and blessed her with a more comprehensive approach. This comprehensive approach of the 8 limbs of yoga, nutrition, Ayurveda and community is a gift that she wishes to share with all who hope to cultivate balanced health, growth, relationships and connection. Amy’s meditation classes focus more on “techniques” than “traditions” with respect for all paths that lead to the top of the mountain! Buddha was asked, "What have you gained from meditation? He replied, "Nothing! However, Buddha said, let me tell you what I lost: Anger, Anxiety, Depression, Insecurity, Fear of Old age and Death."